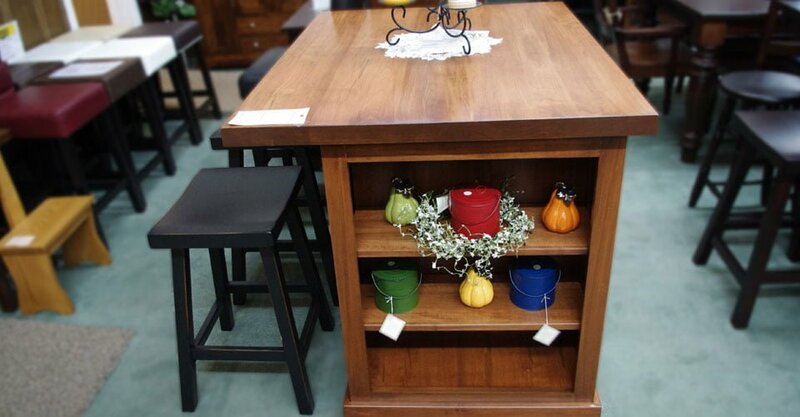 This kitchen island/breakfast bar is a great addition to any kitchen. Its thick solid top is a great work top and it also has great storage. It is made from solid wormy maple and stained with gingerbread stain and lacquered. It is also available in maple, oak and cherry with your choice of stain.